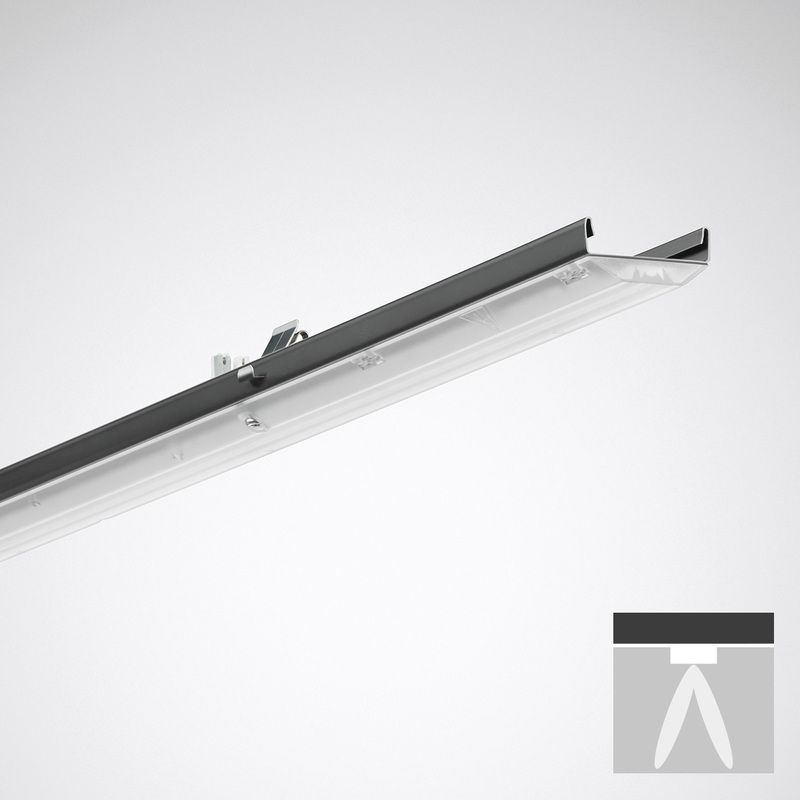 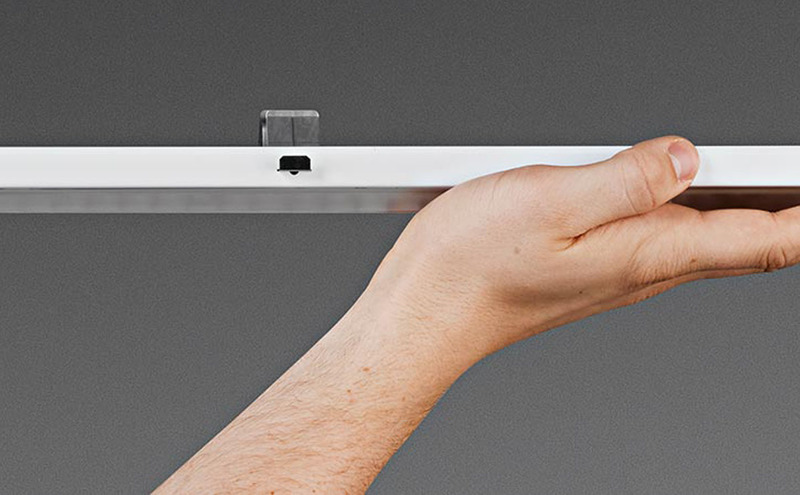 In the trunking sector we see the trend that lighting systems with longer modules are becoming increasingly popular. 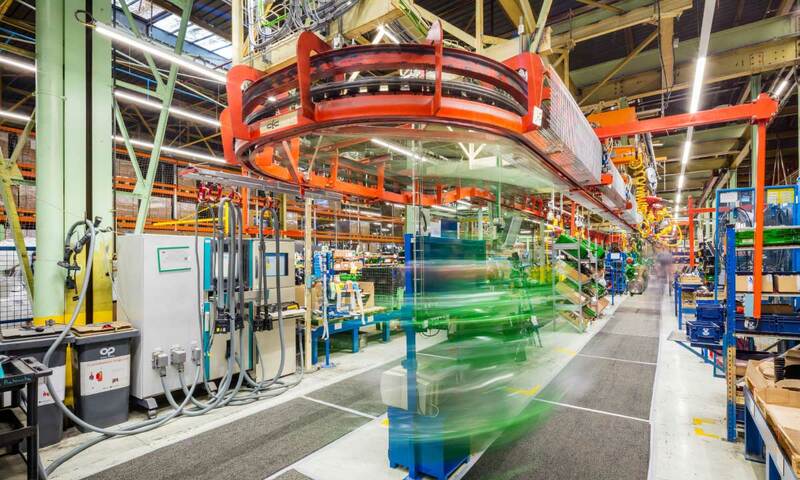 The reasons for this are obvious: solutions with longer and consequently fewer continuous line modules save money and reduce installation time. 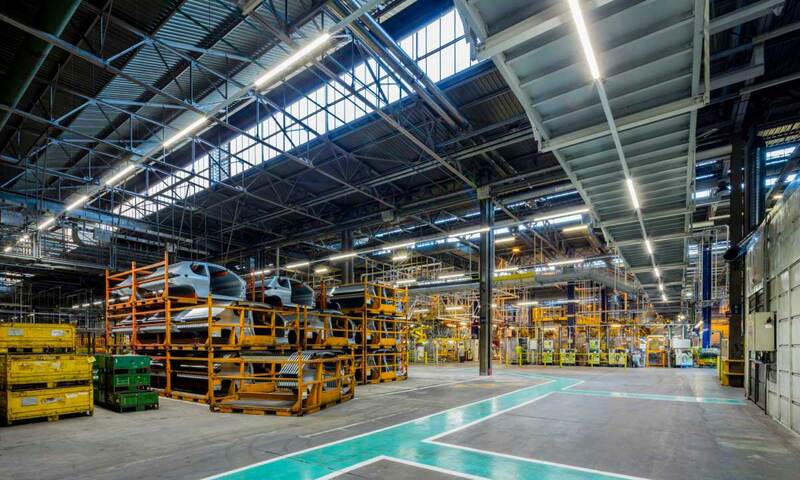 However, even with low investment costs no compromise can be accepted in terms of quality and flexibility. 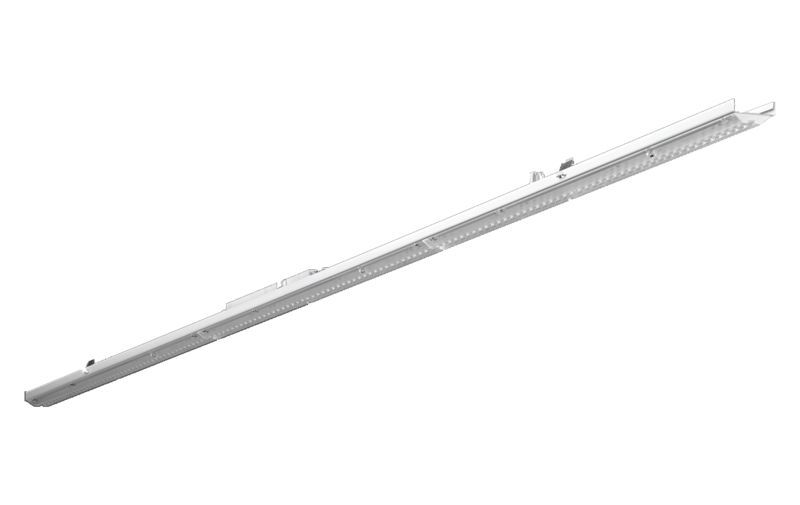 With a module length of 1,720 mm, C-Line LED from TRILUX is a cost-efficient alternative to traditional continuous lines. 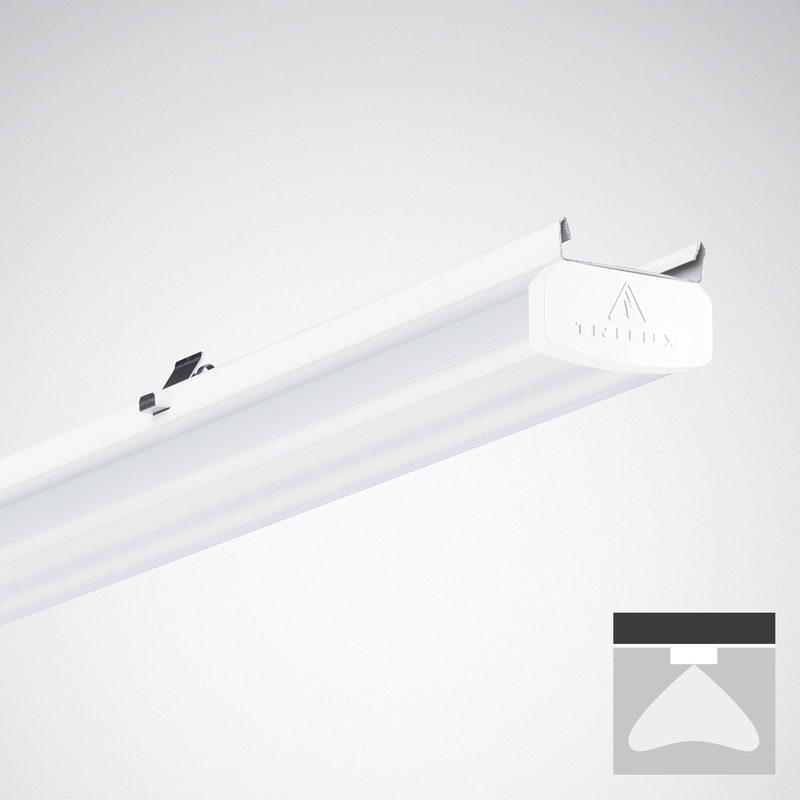 With its wide range of versions it meets the demands of industry and shop/retail and also scores points with quick, simple mounting. 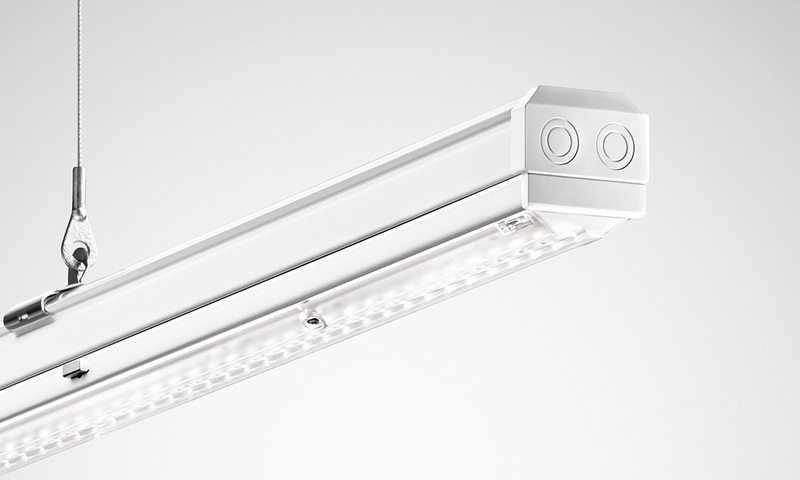 Especially practical: if the room use changes later, C-Line LED can be adapted by simply exchanging the LED inserts. Thanks to its wide diversity with photometric equipment and visual appearance, the continuous line gives lighting designers wide design options and complete flexibility to meet the complete range of lighting tasks in the industry and shop & retail sectors. 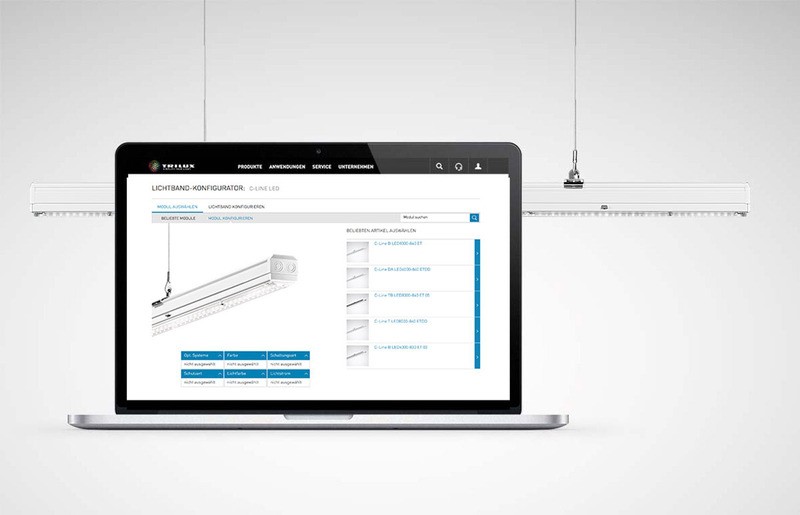 The C-Line Configurator enables continuous lines to be simply and conveniently configured online. 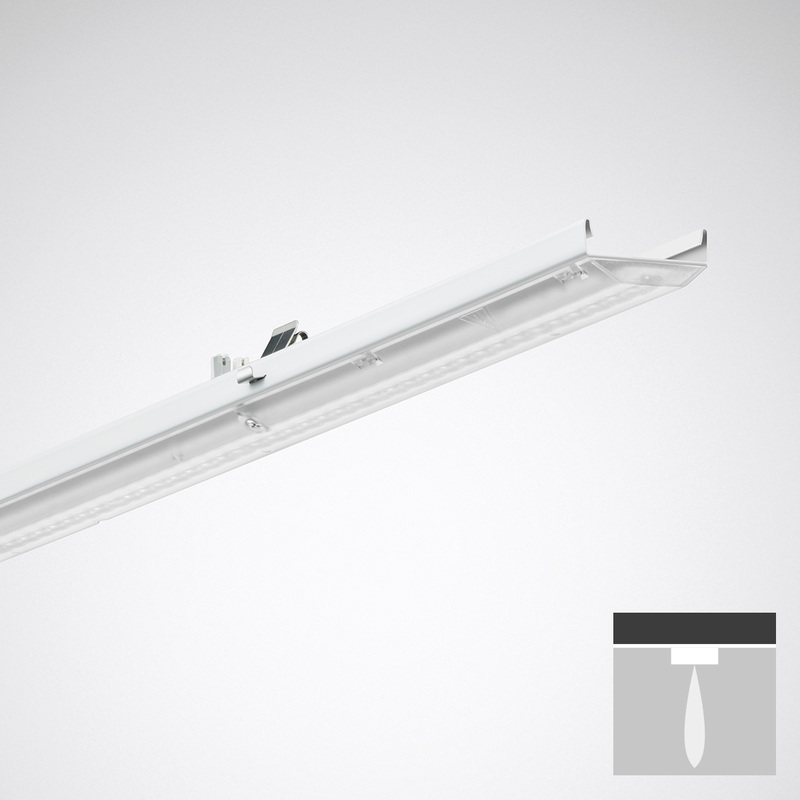 This significantly cuts time spent on planning lighting projects. 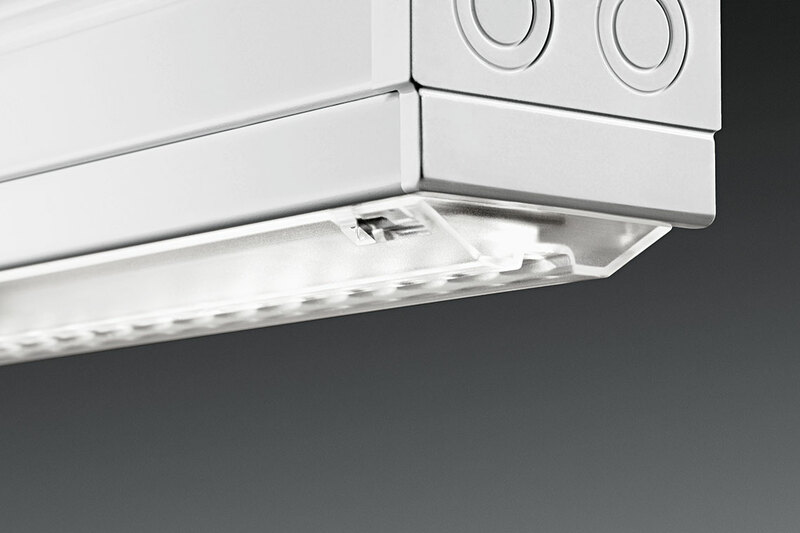 The intelligent catch system of C-Line enables the rapid exchange of inserts in the mounting rails so that rooms can be easily adapted to new situations and functions without major effort. 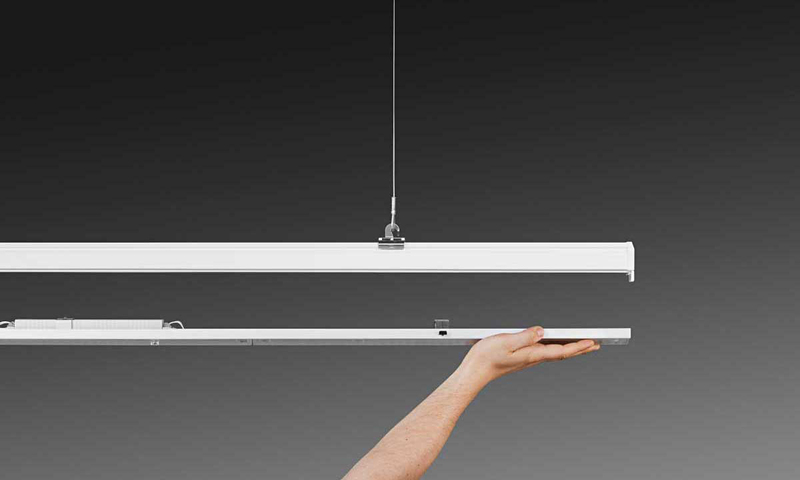 Installing C-Line LED is quick and simple – completely without tools. 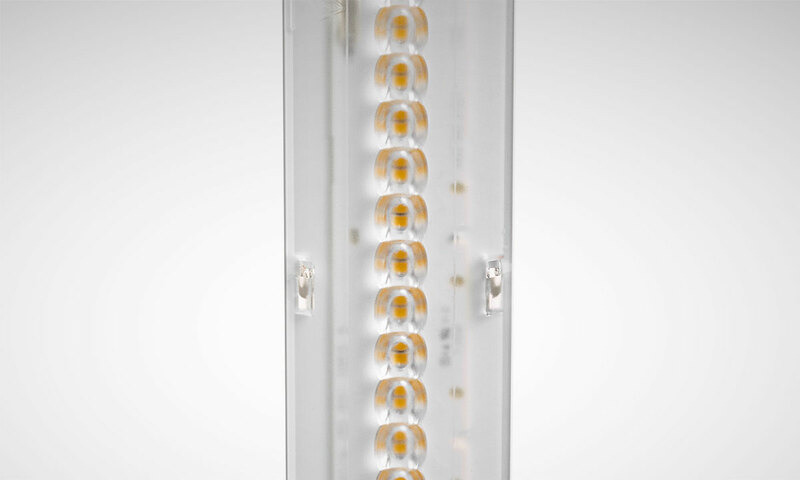 Electrical contractors save even more time with the new 108 packaging because this reduces effort when unpacking to cut installation times by 10 to 15 percent. Because of its wide variability the continuous line is ideal for all lighting tasks in industry and shop & retail. 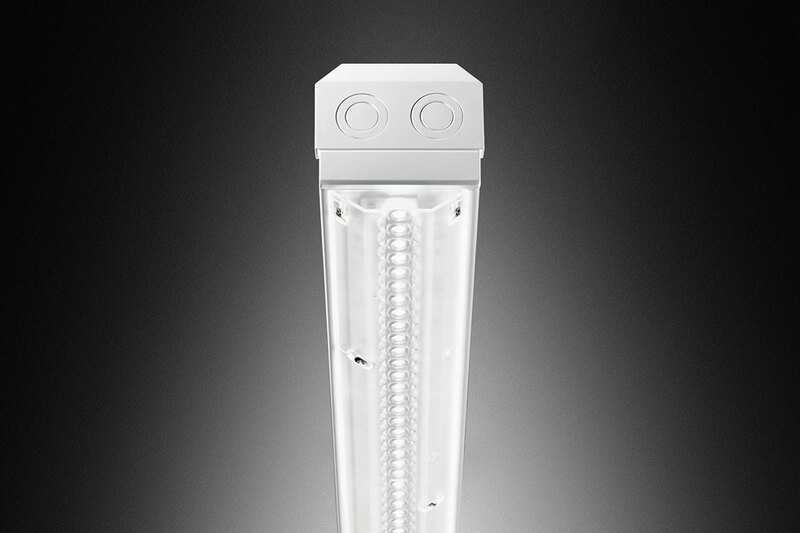 The C-Line LED modules can be simply exchanged on the mounting rail to enable room changes at later times. The optionally available CLO technology (Constant Light Output) guarantees uniform luminous flux across the complete service life. In this way the continuous line ensures uniformly high quality of light. 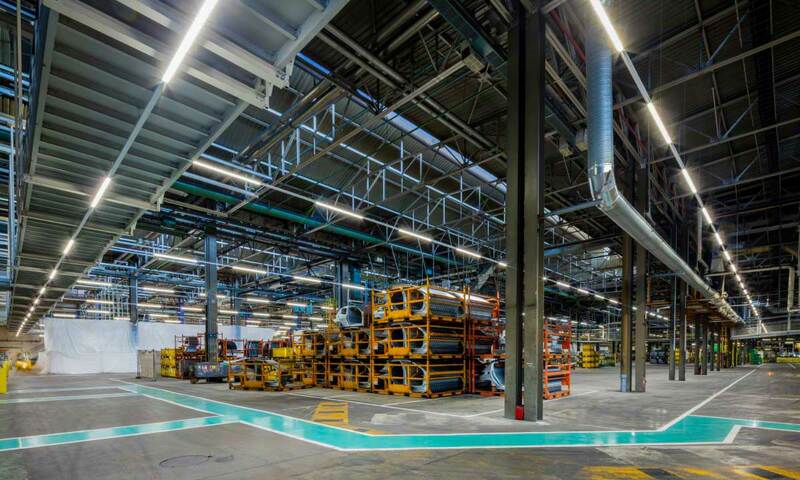 Do you need help configuring your continuous line? 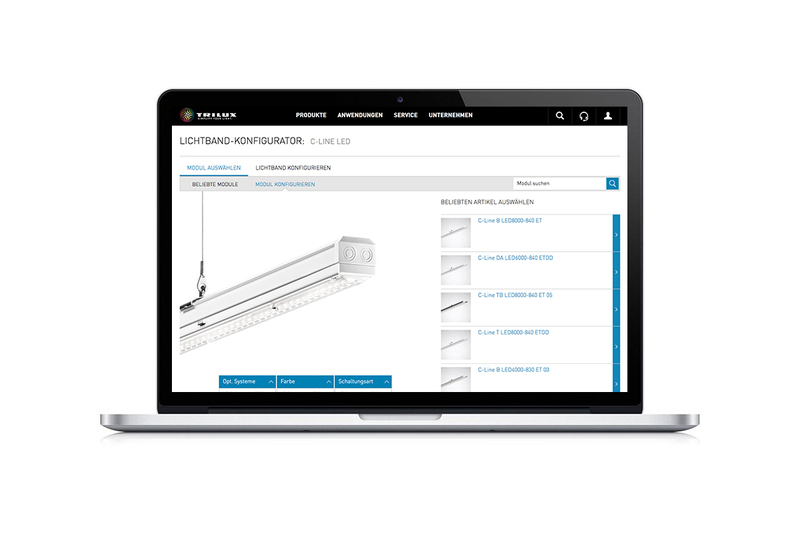 With our Configurator you can identify your most suitable continuous line quickly and simply. 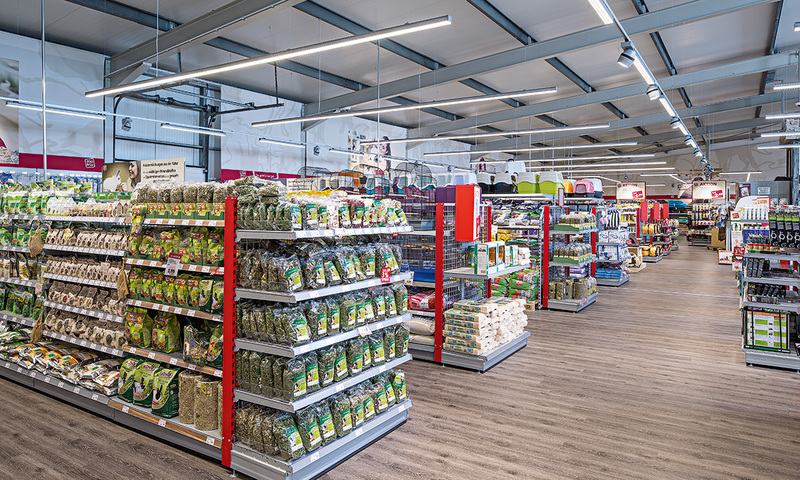 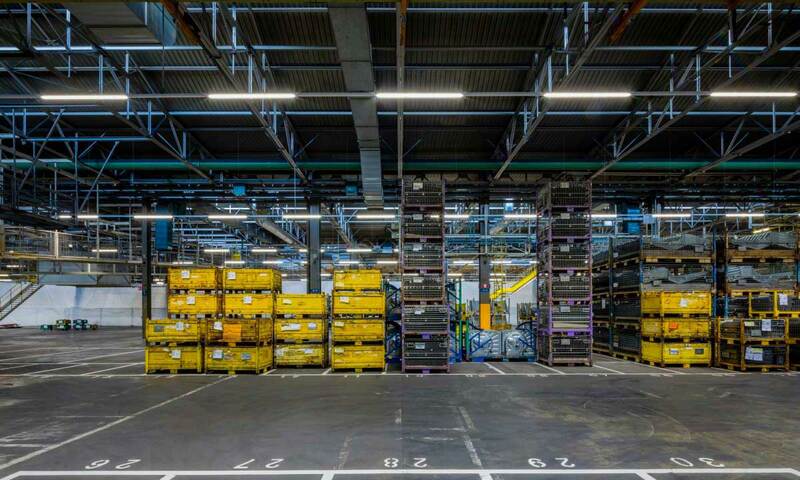 Whether in industry or shop & retail – C-Line LED, with its 1,720 mm modules, is a cost-efficient alternative in the trunking sector and offers a wide range of versions – ideal for upgrading to LED. 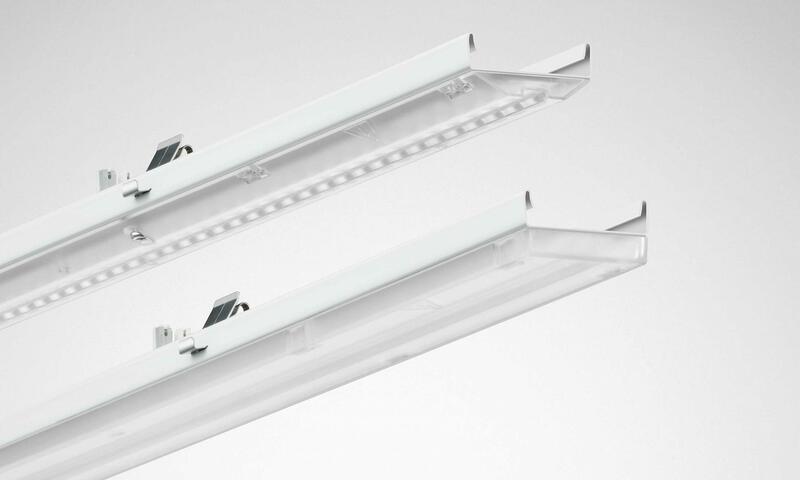 With its high diversity of versions, C-Line LED gives lighting designers ultimate flexibility when planning the various lighting tasks in industry as well as shop & retail. 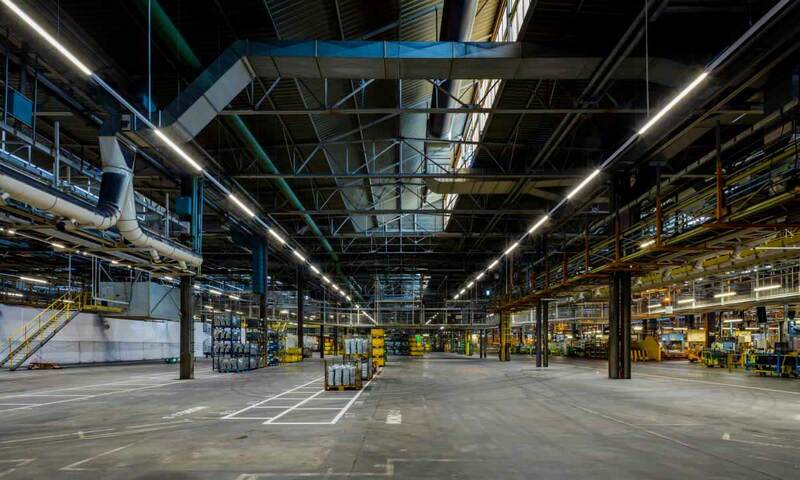 Thanks to high quality components and materials, C-Line LED reliably ensures high quality of light in the long term – also in sensitive and challenging surroundings. 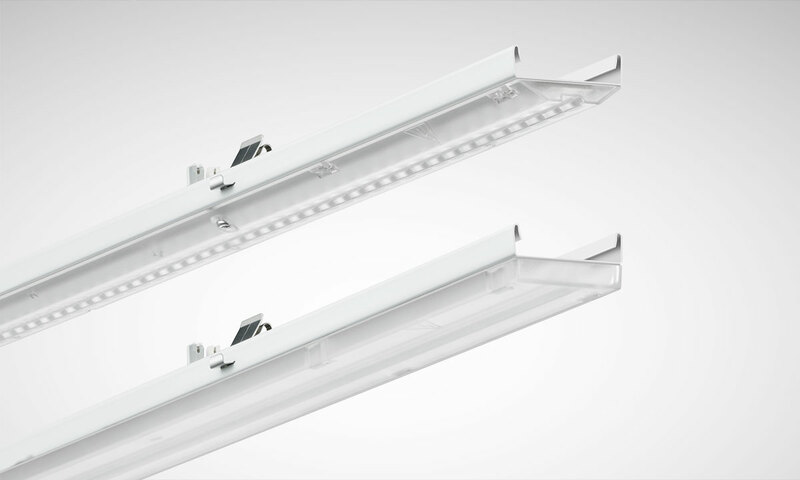 Its flexibility also enables room use to be changed later – operators simply exchange the C-Line LED inserts. 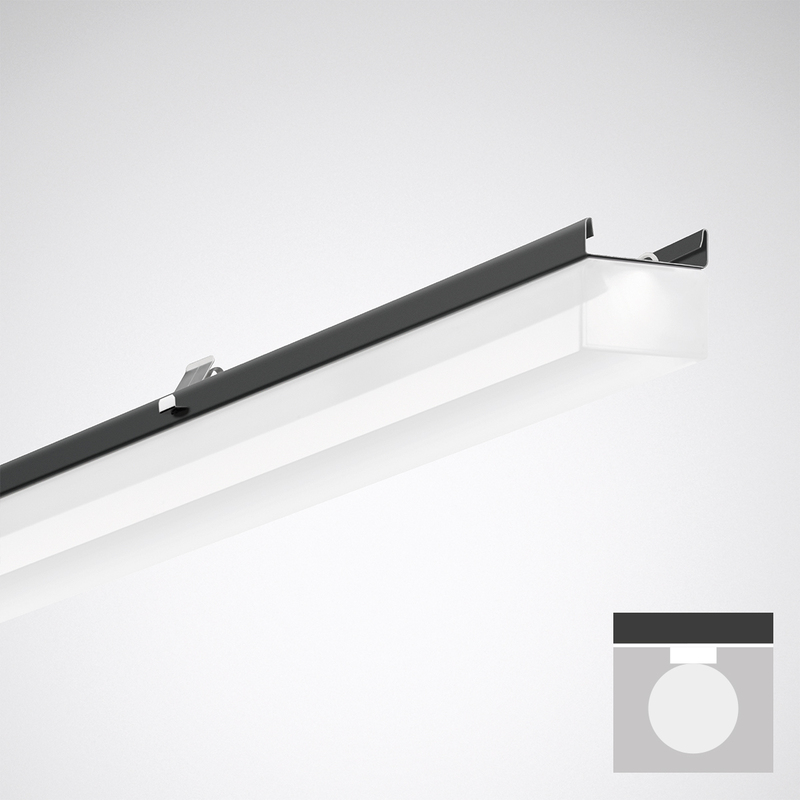 The C-Line LED continuous line from TRILUX features quick and easy installation, completely without tools. 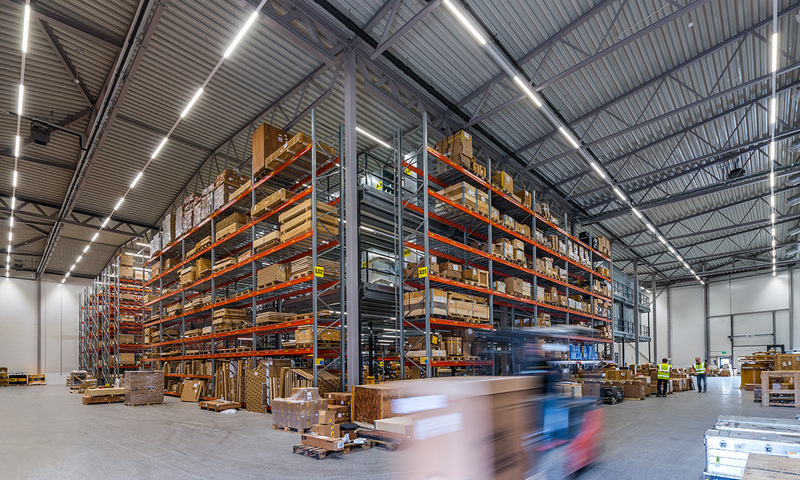 Electrical contractors save even more time with the 108 packaging. 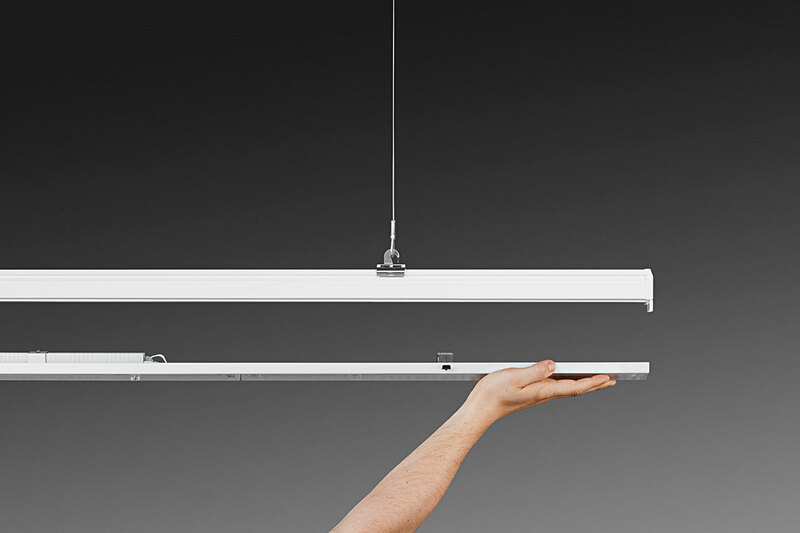 This reduces effort when unpacking and therefore cuts installation time by 10 to 15%.